The 2 runner-up projects will receive 1 ETH each. ii. A decentralized application that adds value to the Corl business model. 1. The novelty of the idea or product. 2. The viability of the application as a business solution. 3. The execution of the team. 4. The quality of the presentation/pitch. Prize: The winner will receive royalty financing with Corl, conditional on meeting minimum eligibility requirements of investment. In a blockchain enabled world how can two people resolve a transactional dispute when there is no one in the middle to help judge or arbitrate? Devise a system that helps them to best resolve their dispute using consensus based principles, smart contracts, online reputation, or crowd based decision. Best project that innovates Initial Coin Offerings/Security Token Offerings or streamlines the process of verifying KYC/AML and accreditation statuses of investors. 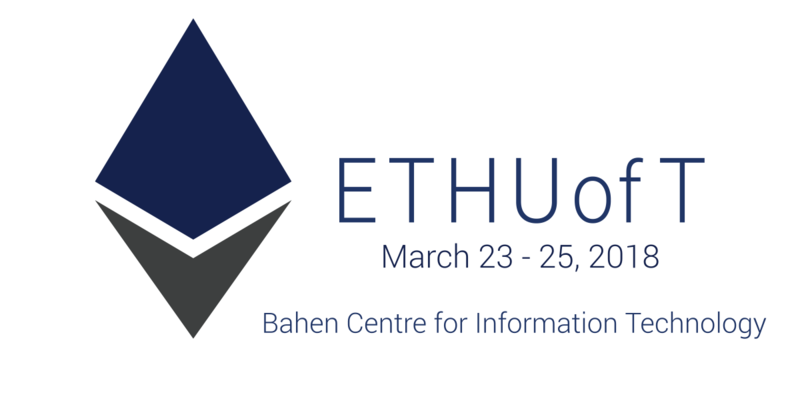 We're bringing together Ethereum enthusiasts and students to contribute to the Ethereum ecosystem by solving real life problems utilizing smart contracts and developing the infrastructure needed to help build our decentralized future. This hackathon is an opportunity for bright inquisitive students interested in blockchain technology to work alongside established leaders, developers, and companies who have dedicated themselves to bringing about the next technological revolution. How does this leverage a blockchain? Can your mother use it? Can this DApp be turned into an actual business or open-source project after the hackathon? How does this add value to the blockchain space?